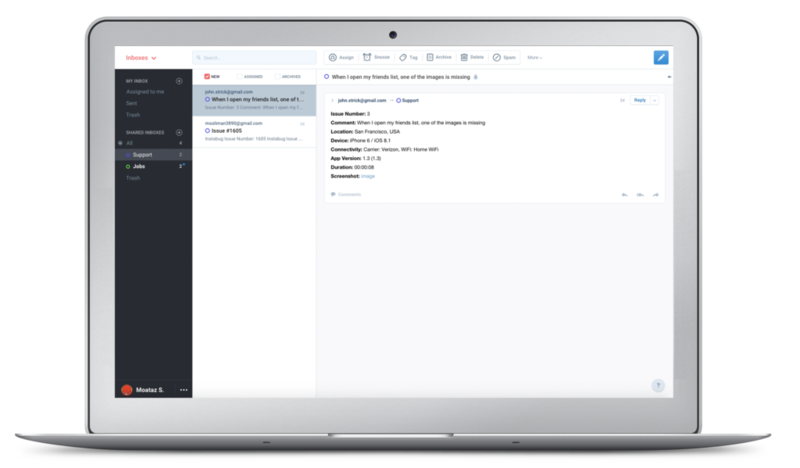 Front is a collaborative inbox for e-mail, SMS and Twitter that is built for teams. With Front, there are no more forwards, failed Bcc’s, and intricate labeling. Collaboration just works in Front, and it only gets better with every team member you add. Many companies are already using Front, including Dropbox, Slack, Mailchimp, Homejoy, and others. 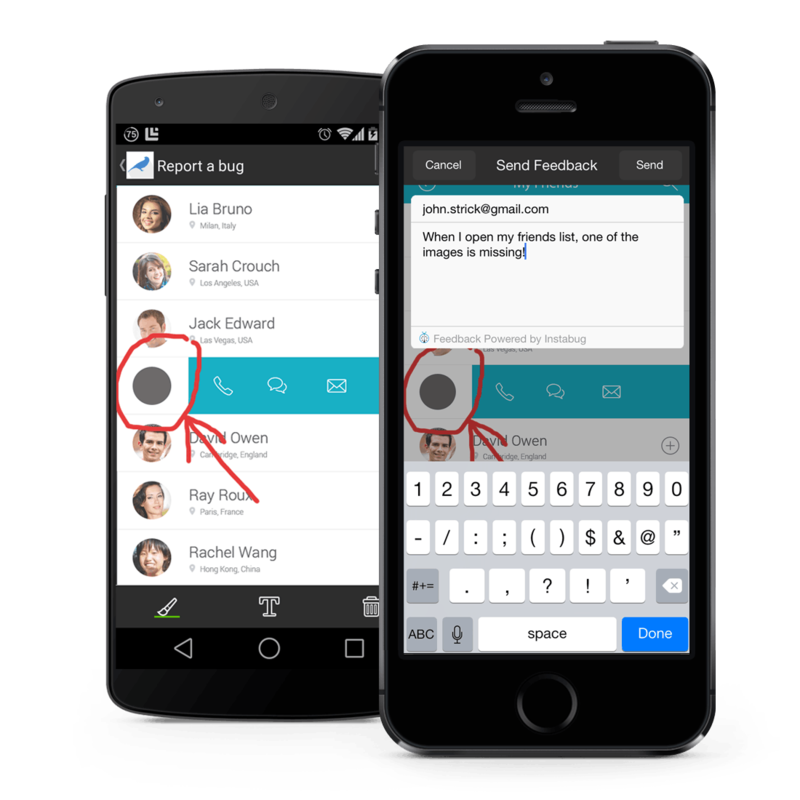 Meanwhile, Instabug is the easiest way for your mobile users and beta testers to report bugs and send feedback about your mobile app directly from their devices. All they have to do is to shake their device and we do the rest! We capture a screenshot that they can draw on, grab all device details in the background, and send them automatically with each bug report (OS, device, memory, battery, app version, network and WiFi status, console log and, most importantly, user steps). If you’re working on a mobile app, you’ll be faced with endless support tickets that need immediate responses and it isn’t the best experience to direct users to their mail clients when they want to ask you something or report a bug. Even if you did that, you’ll face a hassle when assigning each e-mail to a different team member every time you receive a message. 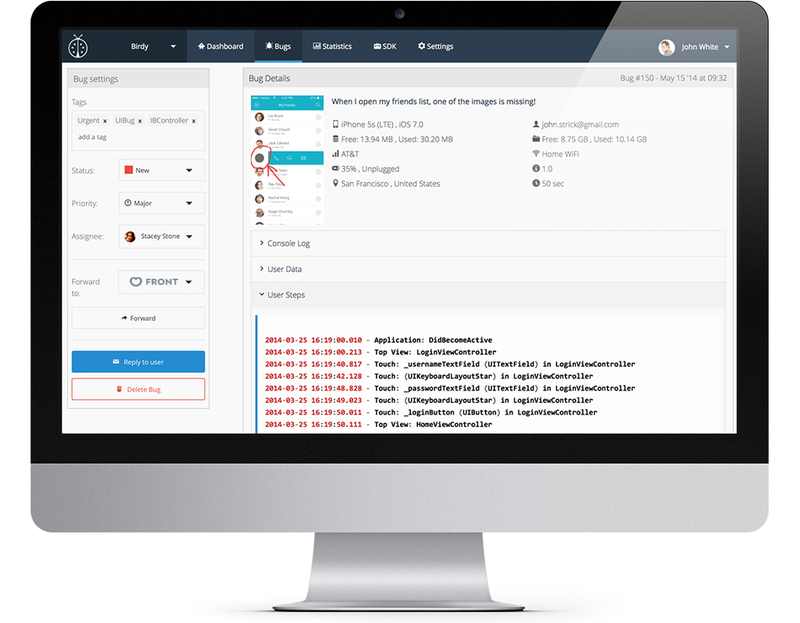 If you want to automate this whole process and give your users a great experience and enable your team to collaborate effortlessly, you should try Front+Instabug. Integrating Instabug with Front allow your users to send feedback, ask questions, and report bugs in-app without the need to open another app to send it. And it’ll be automatically sent to your Front dashboard with all the details you need so your whole team can instantly work on it. Create an account on www.instabug.com. It’s free! Download and integrate our SDK (iOS or Android) from the SDK tab. You only need to add one line of code in less than 60 seconds to get the SDK up and running in your app. Open App Settings -> 3rd Party Integrations -> Add new -> Choose Front and enter your details. Please feel free to contactus@instabug.com if you have any questions.